Crystal Palace became the first team to reach the end of season play-offs in the Professional Development League last week. No others have yet confirmed a place although Bolton Wanderers are very close. Because of Nottingham Forest and Sheffield United still having four games each to play, there are no teams from the northern group guaranteed a top two place as yet but it is looking increasingly likely that those two will be Bolton and Sheffield Wednesday. In the south, it looks like a fight between Charlton and Ipswich for that final place along with Palace. Ipswich currently are a point behind Charlton but have a game in hand. Coventry, who sit fourth, are currently a further five points behind third place Ipswich. Although not certain, Bristol City will surely finish bottom in the south, but we’ve given ourselves a chance of avoiding the northern wooden spoon with our win against Crewe and a win at Colchester would have seen us move above them. We are now within a point of Barnsley with both of us having four games remaining. They hold the advantage given that three of our games still to be played are away from home and that includes a trip to Barnsley in just over a week’s time. This week’s fixtures see us both with home games; Barnsley entertain Cardiff while our visitors are Coventry. The Coventry game is our last at home and that will be followed by the trip to Barnsley a week on Friday and then trips to Millwall and Sheffield Wednesday in the following week. 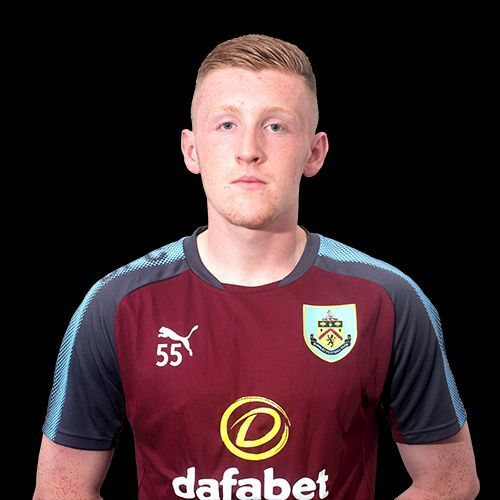 The player featured this week is Aidan Stone who has this week signed a new contract to stay at Burnley next season. The League Tables are updated as results are confirmed and can be found along with our Fixtures and Results within U23/U18 Stats on the top menu.